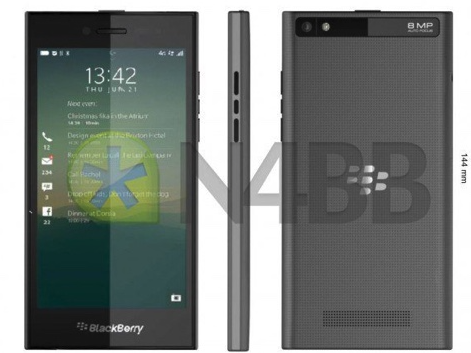 A new leak allegedly reveals the design and the specs of the upcoming BlackBerry Z20 Rio. The smartphone is said to arrive with a 5-inch display and unimpressive specs. Back in September, Canadian manufacturer Blackberry released the Passport, its new flagship handset, and more recently the company also released the BlackBerry Classic, a smartphone with a physical keyboard designed using the traditional BlackBerry recipe. Although two new smartphones in a few months is a lot for the struggling manufacturer, a new leak reveals that BlackBerry could introduce yet another smartphone at CES 2015 in Las Vegas, namely the mid-range Z20 Rio. As can be seen in the leaked photos, the BlackBerry Z20 won't come with a physical keyboard, and will be controlled exclusively though the touchscreen. According to the source, the BlackBerry Z20 Rio will come with mid-range specs such as a dual-core Snapdragon S4 chipset from Qualcomm, 2GB of RAM, a 5-inch display with a resolution of 1280 by 720 pixels, an 8MP primary camera, a 2MP front-facing shooter, and a 2800mAh battery that should easily last though the day. As far as the build is concerned, the Z20 is likely to be built entirely out of plastic, and the body is expected to have a thickness of 9.5mm. The specifications match what top-end Android smartphones featured a couple of years ago, meaning that the BlackBerry Z20 is likely to be a very affordable handset. Based on the model number, some believe that the Z20 will be priced somewhere between the Z3 (roughly 200 Euros) and the Z30 (roughly 310 Euros). 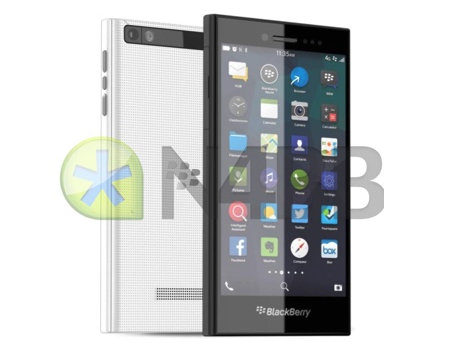 The new BlackBerry mid-ranger is expected to reach customers in February 2015.